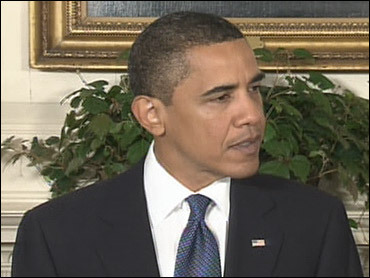 Obama To Attend 2010 World Cup? President Barack Obama may be attending the 2010 FIFA World Cup, Reuters reports. FIFA President Joseph Blatter said that Mr. Obama accepted an invitation to attend the soccer event next year, given that he has time. "He accepted," Blatter said, the New York Times reports. "But you know that heads of state are extremely busy. Hopefully his schedule will allow him to attend." The world soccer tournament will be held in Johannesburg, South Africa, next June and will be the first in World Cup history to be held in Africa. Blatter said that although there are some doubts about how successful a World Cup in Africa could be, this is a long-awaited opportunity for the continent. "There are too many people who don't have enough confidence in Africa and I don't know why," Blatter said Monday, FIFA reports. "It is a continent that has given us so much and it's time to give it something in return. And look, our economic partners have shown their confidence, and television too. They will be there in 2010. It's only right and I believe that it was a moral obligation of ours to give the World Cup to the Africans."